Since February includes Valentine’s Day (February 14th), in support of expressing love, I thought it befitting to incorporate an example of a man of God, whose expression of love to his bride was recorded in Chapter 4 of the book Song of Solomon, namely King Solomon, a romantic. Also, having been married 46 years prior to the death of my husband, Charles, I wanted to encourage spouses to be comfortable with expressing their love and respect toward one another. In my book Profundities of Love, Chapter 6, I mentioned that throughout our marriage, my husband was always complimentary and so expressive of his feelings. The most romantic man I have ever known! I believe that wives like to hear how lovely they are in their husband’s eyes. I sure did. And I think most men had no trouble giving out such compliments when dating their wives. Not only did Charles verbalize it, but in the bible Solomon, King of Israel and known as the wisest man who ever lived, was very explicit about how he saw his wife. Whoa! Solomon had a way with words! Considering that Solomon grew up with a dad who was a shepherd, wrote beautiful lyrics, played the harp, and was a mighty warrior, such exposure was evident in Solomon’s writing. For his wife to be compared with these animals, military armor, fruit, and other items was high praise. And she knew it! It was relative! 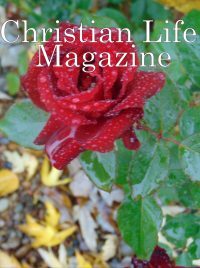 Eventually, I took cues from Charles and King Solomon and started edifying my husband. The more I shared with him my thoughts on how well he provided for our family, how handsome he looked, what a great father he was, and what a fantastic job he did on this or that project, the stronger our relationship grew. Generally, the longer couples are married, the everydayness takes precedence of the marriage relationship. Kids. Work. Church activities. Sports. It is so important not to let these things get in the way of taking time to be with each other. In studying these scriptures I found it interesting that Paul used the statements: “husband love your wife” and “wife respect your husband.” Having been a wife for 46 years, clearly I noticed that “my man” responded gallantly when I showed him respect. I recall one night in Chicago, Illinois when at a hotel to attend a party. (at that time I was in my 8th month of pregnancy), Charles whisked me up in his arms and carried me six flights of stairs to get me up to the floor of the party since we could not use the elevator. So chivalrous! Love is an action word. There was nothing that Charles would not do for me or try to get for me. As I stated before, he was the most romantic man I have ever known. He definitely was a touchy-feely kind of guy. He proved his love time and time again. And I had no problem with giving him respect, meaning I had the highest regard for Charles. Admired him greatly! Kept him on a pedestal! There was nothing he couldn’t do or at least try to do. Just ingenious! As Christ loved the church, His bride, so much so that He died for her, I have no doubt that Charles would have given his life for me, his bride. And like King Solomon, Charles definitely was a romantic! As soon as possible, consider letting your spouse know how much you love and respect them. What a wonderful gift to give all year round – not just for Valentine’s Day when we tend to show affection with cards, flowers, text messages, phone calls, dinner and a show, etc.